Sven Killig has managed to run LXDE on his Nexus One in a USB host mode. He has made a video showing how all kinds of devices plugged in – including a web cam, keyboards, screens and a display link unit. Today, new alpha releases of PCManFM and libfm were made. Again, let me show you the screenshot first. “Create New” is working on desktop. The color of location bar is changed when pcmanfm is executed with root user. Fix command line argumnent-related bugs. Please get it heavily tested. LXMusic 0.4.3 was released by Jürgen Hötzel. Please help to advance LXDE development and test releases, help with translations and update the wiki. The Fedora 12 LXDE spin turns out to be a huge success. It only took us 8 days to become number #2 in the most popular Fedora Spins, although the other spins were released two weeks before LXDE. As I’m writing this post, we had more than 2500 complete BitTorrent downloads. Thanks to all the people who downloaded the spin and made this possible. I really appreciate the your interest in LXDE and my work. Thanks for all the nice feedback I received so far. If you want to install it on a device with no CD drive, you can make a bootable USB key of the image. Attention: Please don’t use UNetbootin, it’s known to be broken. Use liveusb-creator or the livecd-iso-to-disk script from the livecd-tools package instead. LXDE and Xfce package maintainer at the Fedora Project. 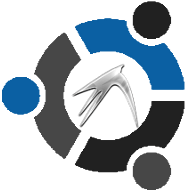 Julian Lavergne posted some ideas to get involved into lubuntu on the mailing list of the project which are helpful for anyone who would like to contribute to the lubuntu project. I am adding a few ideas here. If you want to work on a bug, you should affect it to you so people know you are working on it. If you want to implement a feature, or working on a patch, you should open a bug on Launchpad, so people can eventually help you. I’ll try to add a TODO list for packagers who want to help but want some mentoring or ideas. We may have some ISO to test near the Alpha 1 of Lucid, it’s a good occasion to test if it’s working, and report bugs. You don’t need to know how to code for this, just use Lubuntu and report bugs/complain about it. You can also install a command line Lucid system in VirtualBox and install lubuntu-desktop package by “sudo apt-get install –no-install-recommends lubuntu-desktop”. Another way is to test a pristine lxde session by installing the lxde package, and see if no Lubuntu specific patch cause problems in a standart LXDE session. To report bug, do ubuntu-bugs the_name_of_the_package_affected. If you don’t know, use ubuntu-bug lubuntu-meta, we’ll triage it for you 🙂 Testing (and reporting problems) is critical, because developers can only try to fix problems if there are reported. Fedora 12 LXDE Spin – Take two! Finally the hard working people over at the Fedora project have released a working Fedora 12 Spin featuring LXDE! Christoph has the complete story behind the delay, never mind that though and go grab your copy at http://spins.fedoraproject.org/lxde/ (in the last couple of hours 60 other downloads have already occured). Faster and easier IT tools can benefit a lot of people all over the world. A goal that LXDE shares with One Laptop per Child. To bring LXDE on the XO-laptop can help to turn the XO from a tool for children only into a device for the whole family. This year in April I had the chance to go to Afghanistan again continuing the cooperation with OLPC Afghanistan. The goal – to provide a drop in replacement for the Sugar desktop and to give users the choice between different desktops. Whereas smaller kids use the laptop with all the advantages of the educational approach of Sugar, LXDE on the XO can be used by older family members as a more traditional desktop. Providing information about the local community and including projects like a collection of a local business directory makes the deployment of laptops more useful for the whole family and supports them in making a living and improving their lives. Small energy saving devices like the XO offer access to knowledge and information in Afghanistan, even more so as the Afghan project deploys Freifunk Networks as part of the project implementation. A school server with thousands of books thus can serve local communities outside schools via advanced wifi mesh networks. For a second cooperation with OLPC I am looking to Vietnam, that offers “all the ingredients” for a successful deployment of IT and communication technologies. The ultimate goal of OLPC Vietnam is a large scale deployment to support and foster the change of frontal teachers centralized methods to a learner and learning focused methodology in Vietnam. After our meet up at the Google Summit in Mountain View last week Yaakov Nemoy now published a simple Hacking Guide for LXDE/Fedora on the XO of the OLPC project. While Christoph Wickert and the LXDE team is already working on a fully supported version for the XO, this is “a bunch of quick and dirty hacks to get people started”. Yaakov: We’ve got a few long term issues we have to look at. … it seems that the os8.img has issues with WPA access points. We are documenting the advancements of LXDE on the XO in the LXDE Wiki (http://wiki.lxde.org/en/XO) as well as in the wiki of laptop.org (http://wiki.laptop.org/go/LXDE). LXDE finally has its own display manager, lxdm, and doesn’t need to rely on GDM or KDM from now on. Recently, a new developer dgod from China joined us and contributed a new project, lxdm, a lightweight display manager aimed to replace gdm. Later, I modified his code, and re-implement the UI with GTK+. So, this is how it look like. It’s still in very early stage, and things are not expected to work correctly. For now, it only work smoothly with Fedora. On Ubuntu or others, there might be some issues. However we’ll work on fixing those problems and finish this new display manager. The code is in LXDE svn repo. For someone who wants to try it, use at you own risk and have fun! The lubuntu project is advancing. lynxis just published a lubuntu test iso based on the seeds by David Sugar and additional patches. It is just 381 MB and a second one only 292 MB. UPDATE: The CD images from the link above are now unavailable due to bandwidth limit. However, there is a BitTorrent link.